On March 17th we held our 18th Annual Lenten Service in the Our Lady of Fatima Parish at St. Mary's Church of the Immaculate Conception. Approximately, 60 people were in attendance. Father John Albosta presided, John Simkovich was the organist, Anna Hudock and Elaine Palischak were candle bearers, and Paul Makuch was cross bearer and acolyte. Bernadette Yencha was leader of song. It was a prayerful afternoon during this holy season of Lent. An abundance of food and social interaction followed. 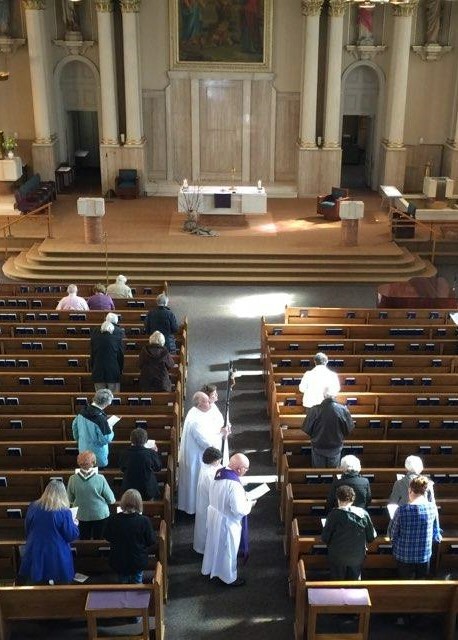 Many expressed their gratitude to our society for continuing this Lenten Service. "Kde Je Slovak Tam Je Spev"
"Where There Is A Slovak There Is Song"